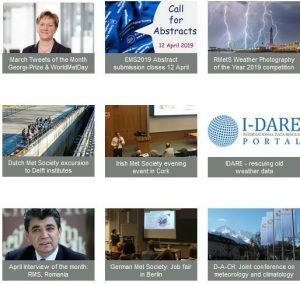 The European Meteorological Society would like to engage with more Member Societies and Associate Members through Twitter. In recent weeks we have started to follow the accounts of some Societies but we may have missed some. If you are the Twitter administrator for a Member or Associate Member of EMS, please consider following us at https://twitter.com/europeanmetsoc. Our plan is to feature a popular meteorological tweet each month. To ensure we see a tweet of interest, please add the hashtag #emstweetofthemonth. Below is our selection for our first “Tweet of the Month”. Simon Lee, a Ph.D. student at the University of Reading, tweeted the below on July 22nd during an exceptional heatwave in Europe. 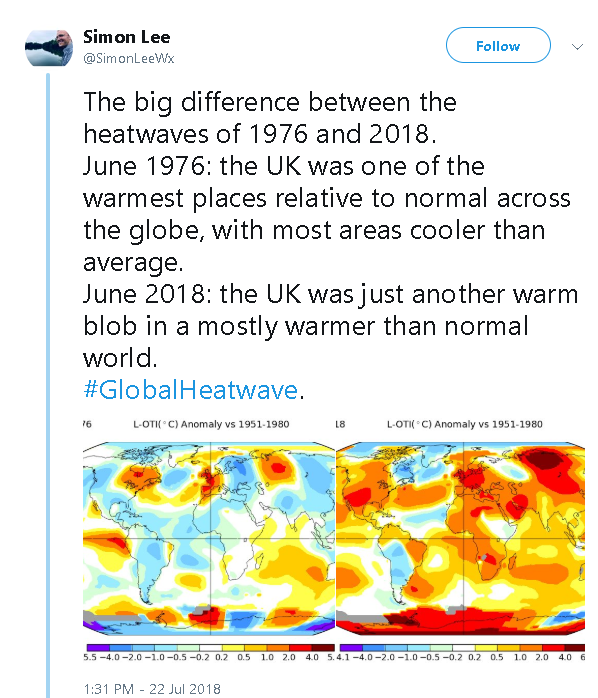 His tweet, which has been re-tweeted about 13000 times, pointed out the difference between the 1976 heatwave in the U.K. and this summer’s European-wide heatwave.